PHILADELPHIA—Providing further insight into the country’s rapidly shifting attitudes about gender, a study released Friday by the Pew Research Center found that a growing number of Americans would be comfortable with a female Pep Boy. “Times have changed, and I think it would be great for my daughters to finally see a Pep Boy on the sign who looks like them,” said local father Robert Kinsley, echoing the sentiment of 72 percent of poll respondents who indicated they were ready for the full-service automotive chain’s trademark characters, Manny, Moe, and Jack, to be joined by a female Pep Boy, possibly named Janet or Fran. 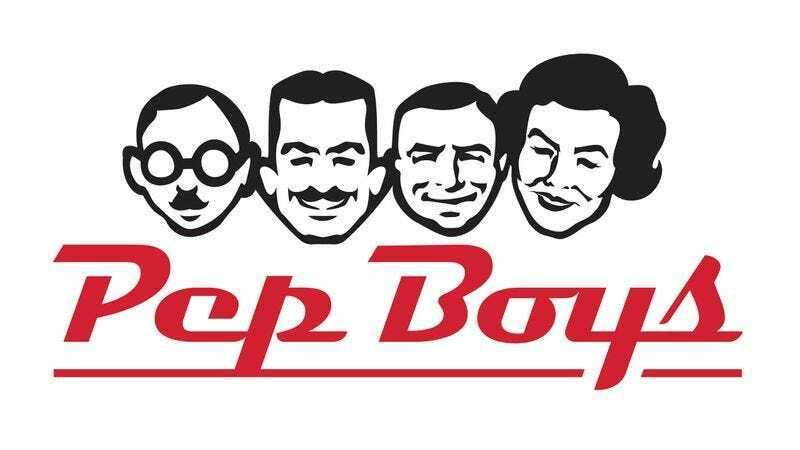 “It’s always been the same three guys on the logo, but I believe that a female Pep Boy is equally qualified to promote savings on replacement tires.” The study also reportedly revealed that a majority of the populace felt uneasy about the prospect of a Muslim Pep Boy.